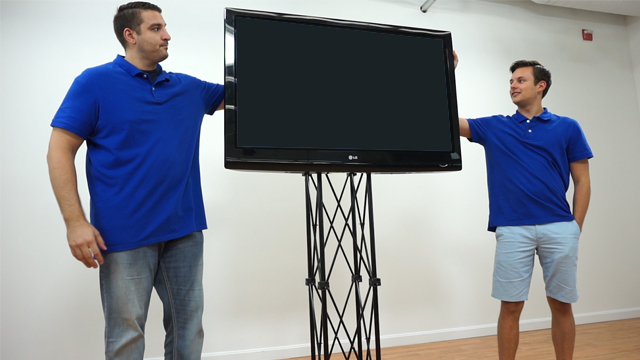 Discount Monitor Stands Sized for 42" Flat Panel TVs Online Cannot Be Ignored at a Trade Show or Convention! 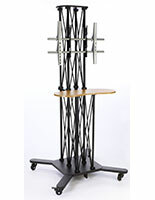 These Monitor Stands Feature Easy Setup and Can Support Two 50" Flat Panel Plasma TVs! Improve Your Presentation by Ordering Today! 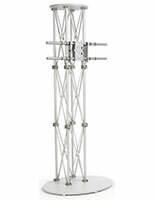 Monitor stands of this extra tall size cannot be ignored! 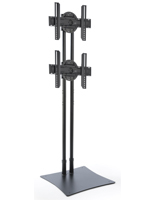 These plasma stands, monitor stands are just over 10-feet tall, making them exceptionally effective in attracting attention towards your televised advertisements. 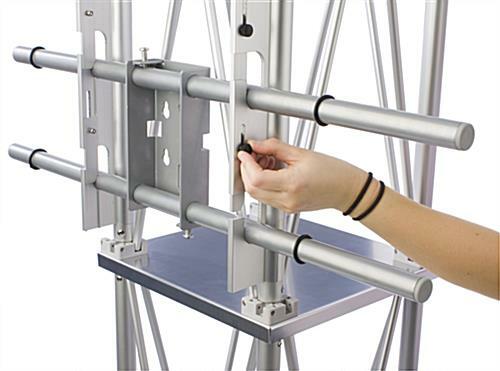 The monitor stands, also known as extra tall flat panel TV mounts, are designed to display (2) flat panel televisions either vertically or horizontally at one time. (Please see the drawings for all of their mounting options.) 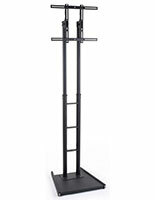 We provide these monitor stands with (2) VESA LG brackets for mounting TVs up to 60" in size, and weighing less than 80 lbs. 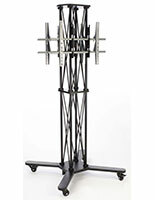 These brackets support a wide variety of television brands including Sony and Toshiba. 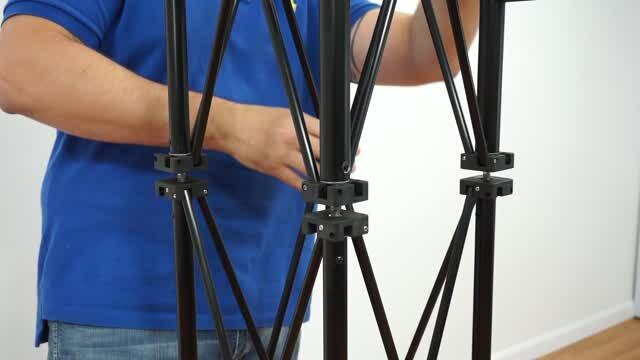 The monitor stands feature an aluminum truss design, making them both portable and attractive. 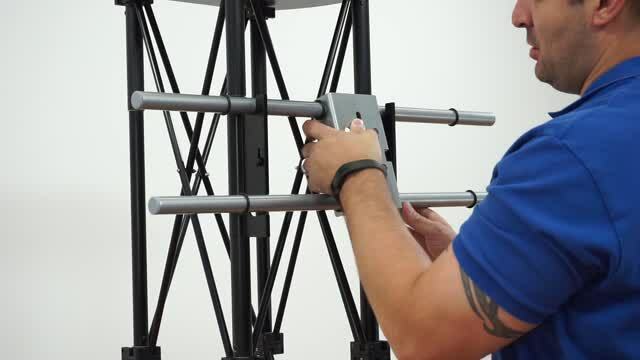 Setup is also easy as no additional hardware is required! 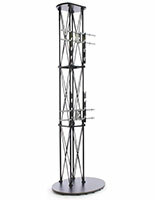 You are even provided with the mounting screws! 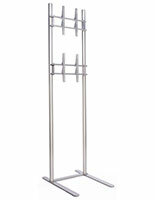 These monitor stands sized for 42" LCD TVs include (2) carrying bags to make them portable and easy to transport. 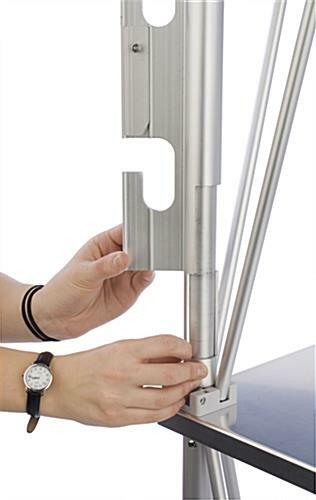 The flat panel plasma stands, monitor stands are therefore ideally intended for use at trade shows or conventions. 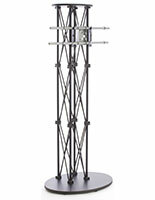 These tall monitor stands tower over competitors' displays yet will not overwhelm the rest of your presentation. 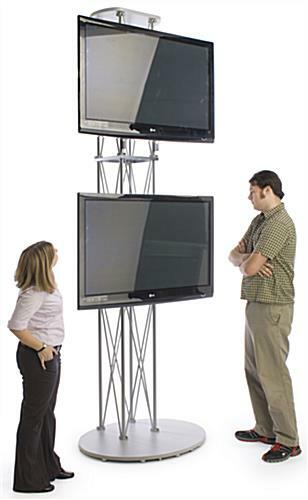 Monitor stands, such as flat panel TV stands, give you the ability to integrate digital advertising into any exhibit. 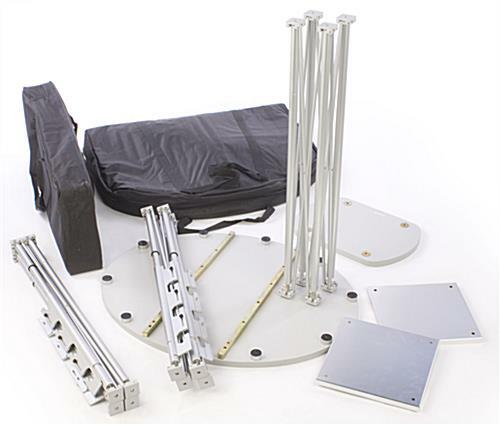 Buy these monitor stands for plasma TVs in bulk or individually today!